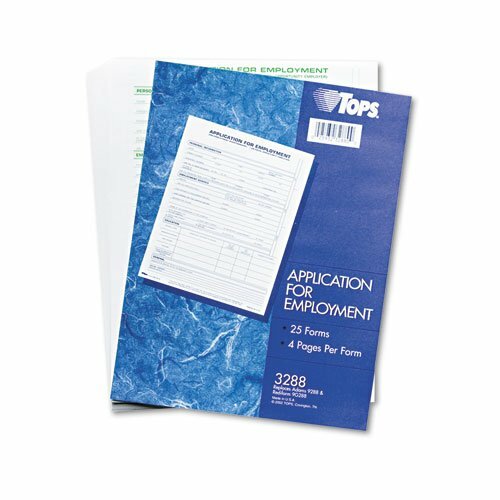 TOPS® – Comprehensive Employee Application Form, 8 1/2 x 11, 25 Forms – Sold As 1 Pack – The most comprehensive inquiry into a candidate’s history, including past employment, references, education, personal information and check-offs for special questions. The most comprehensive inquiry into a candidate’s history, including past employment, references, education, personal information and check-offs for special questions. Full page for interviewer’s appraisal.